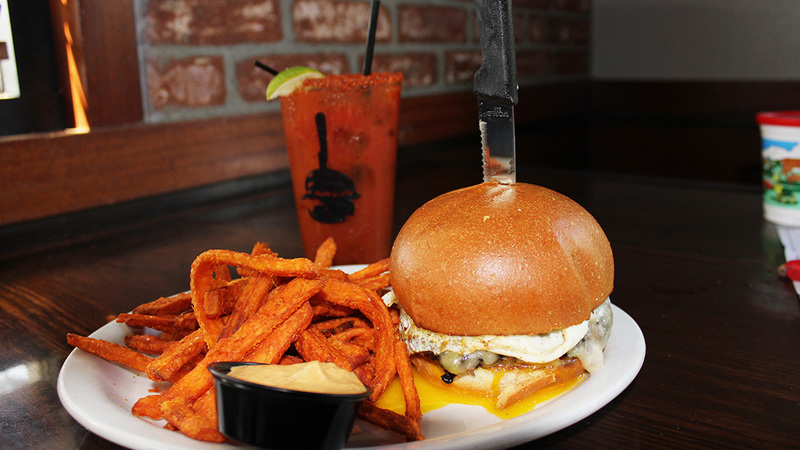 Slater’s 50/50 Burgers (Slater’s) was founded in 2009 in Anaheim Hills by Scott Slater, a So Cal native with a passion for burgers, bacon, and craft beer. One may ask, “Where does the 50/50 come from?” With the belief that bacon is “meat candy,” Slater created the first patty that was fifty-percent ground beef and fifty-percent ground bacon. You read that right, ground bacon is infused inside a burger patty, it is not just strips laying on top of the patty; but you can have it that way, if you so choose. This burger spot has undergone management changes as the previous owner sold the franchise about a year ago. This allowed Thao Pham, who is now part owner, to pick up the baton and carry on the “slaterized” traditions. Pham, a husband and father of three, is a young entrepreneur who began his career in the restaurant industry at the age of 19, when his mentor and now business partner, provided steps and guidance on the relationship between hard work and success. Pham climbed the managerial ladder quickly. He bought his first franchise, a Wingstop, just a couple of years after his mentor took interest in grooming him to become a business owner. Pham believes that hard work, focus, and dedication are the keys to any successful business. He also believes that leaving a legacy for his children and teaching them responsibility is paramount for their futures. Slater’s also takes its civic responsibilities seriously as demonstrated through its active support of charitable events/organizations. Recently, they sponsored the 6th Annual Austin Charters Special Needs Golf Tournament held September 29, in Upland. The golf tournament provides a way for people to get involved and donate to the organization’s trust. Be on the lookout for next year’s event to learn how you can get involved and support this effort. Now, more about this restaurant’s incredible, menu. Slater’s famous Vampire Dip is one that would bring you out anytime of the day to indulge your taste buds. It includes a creamy melted cheese blended with artichoke hearts and roasted garlic. It is served in a sourdough bread bowl with pita and veggies for dipping. The kids will enjoy eating their veggies with the crispy brussels sprouts that are tossed in a tangy balsamic vinaigrette, shaved parmesan, fried sage, and of course, you’ve guessed it, BACON! By the way, the brussel sprouts were kid tested and approved! If you want a classic burger entrée filled with excitement, start with the Original 50/50. This bacon/beef blend of goodness excites the taste buds. It includes a sunny-side up egg, pepper-jack cheese, avocado and chipotle mayo. For the vegetarian or vegan, the Impossible™ burger is a viable option and of course, you can “slaterize” it with all your favorite toppings. 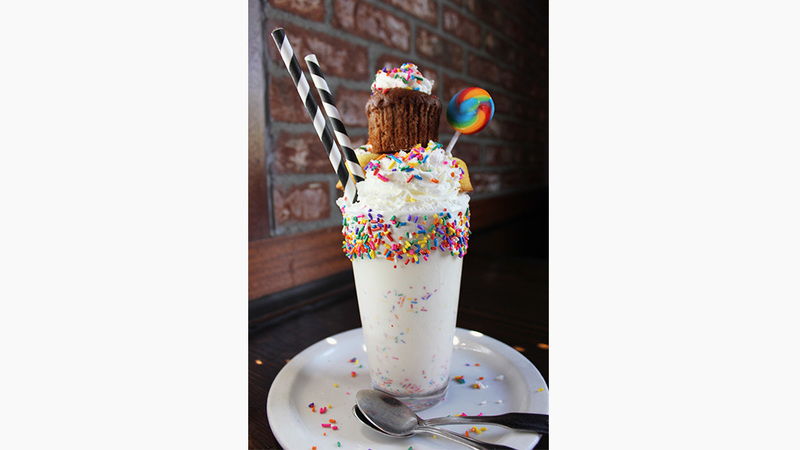 The last and best course of any meal is the dessert and what better way to close out your meal than with a Happy, Happy Birthday Shake, even if it isn’t your real birthday. Dining at Slater’s Rancho Cucamonga is a celebratory reason to have any dessert—all are certain to meet your expectations and satisfy your sweet tooth.